Aleut Region stakeholders, informally called the “A Team” — Aleutian Pribilof Island Community Development Association, Aleut Corporation, Aleutian Housing Authority, Aleutians East Borough, and Aleutian Pribilof Islands Association, have come together to work on energy related issues in one of the world's most remote regions, the cross-roads of the North Pacific Ocean and Bering Sea. Read below about some of our energy conservation and renewable energy projects. The central cone in Akutan Caldera. Photo courtesy Cyrus Read, USGS. A new study says Akutan Volcano could be an even more promising source of geothermal energy than previously thought. It’s been three decades since the U.S. Geological Survey last studied Akutan’s volcano-powered hot springs. Since then, head researcher Deborah Bergfeld says the springs have gotten stronger, and there’s more material from Akutan Volcano dissolved in the springwater. “These are all good indicators that there might be a reservoir of hot water big enough to supply geothermal power,” she says. Bergfeld says a volcanic eruption and seismic activity in the 1990s could account for the increase in power potential — the springs are now producing 29 megawatts of heat. That number would shrink when converted into electricity. But Bergfeld says it would still be substantial. It sounds like a good deal for the city’s small residential population and its large Trident Seafoods processing plant. Right now, that all runs on fuel oil barged in from Unalaska. But Bergfeld says a strong volcanic resource alone isn’t enough to tell whether geothermal is worth the cost of installation. That’s a balance Akutan is hoping to strike. They’ve been working on a plan to tap into their geothermal resource for years, with the help of several grants. Akutan mayor Joe Bereskin says the new USGS data will help their cause as they work on a business plan. They hope to have that business plan done in the next month. The Aleut Region is large and entirely all Class 7 winds, the highest quality wind. The region’s high precipitation and steep topography allow for great hydro potential. The Aleutian Islands encompass 1200 miles of the Ring of Fire with 57 volcanos making for an excellent geothermal resource. At least 14 sites have been identified that potentially have high temperature reservoirs (>302 ºF) along the Aleutian arc. Total wave energy potential in Alaska is estimated to be 1,250 TWh/yr, over 50% of the total potential found in the US. Wave potential along the southern coast of Alaska and the Aleutian Islands, for example, is estimated to be almost 200 times the Alaska’s total annual energy needs. 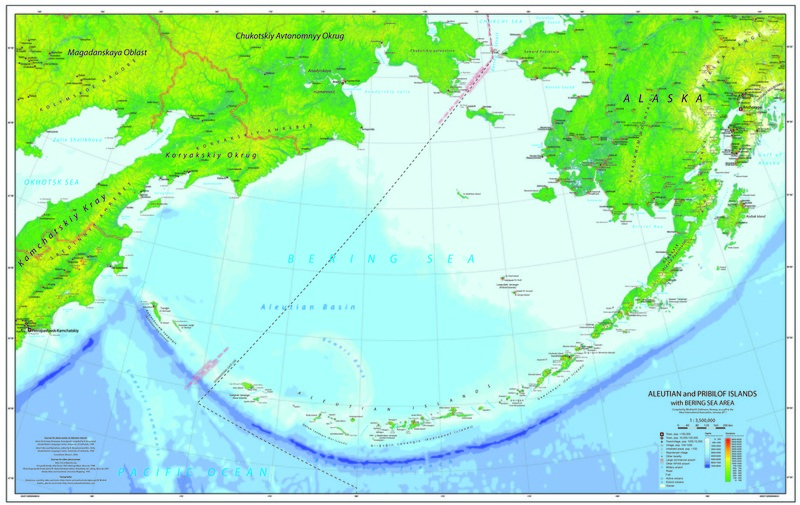 The tidal and ocean currents streaming between the islands at the headwaters of the Bering Sea coming from the North Pacific Ocean are unsurpassed. Alaska is estimated to possess 90% of the tidal power in the U.S, or 109 TWh/yr. 1. Identify potential geothermal sites in the Aleutian Islands. 2. Undertake a geological, geochemistry, and geophysical assessment of targeted sites for geothermal power generation potential. 3. 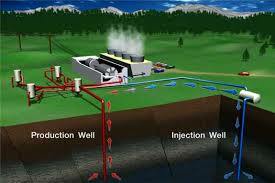 Undertake a geothermal drilling program to promote regional geothermal interests. 4. Develop conceptual design and business plan for follow-on phases of the projects. 5. Conduct an optimization phase in the conceptual design to determine how to supply power either from one centrally located geothermal plant or from many smaller geothermal plants, so the communities involved can be evaluated. Included will be evaluating the use of transmission lines for power versus supplying hot water via a pipeline to one or several geothermal power plant(s). The City of Akutan intends to construct, operate and maintain two 6 Megawatt (MW) non-condensing steam plants, along with four production/injection wells, access roads, transmission lines and support facilities necessary to convey power to the City of Akutan and the Trident Seafoods Shore Plant, located adjacent to Akutan village. The resource is comparable to Iceland’s geothermal and can support the country’s largest single fish processing plant (Trident Seafoods-Akutan), the community of Akutan and other industry including local food production in geothermal powered greenhouses. Most of the electricity used on Unalaska is generated using diesel engines. Assuming $5/gal. and an efficiency of 14.5kWhr/gal., the annual fuel savings could be approximately $3MM/MW of installed capacity. A 30 MW plant at full capacity would therefore displace the energy equivalent of $90,000,000 for each year benefitting the City of Unalaska and its residents. The proposed project will conduct engineering analyses to utilize two existing dams to produce hydro-power. The existing dams, Bonnie Rose and DeMarie, are in close proximity to the City. An initial review of the characteristics of these dams and hydrology data of the watershed indicate that these dams could produce approximately three megawatts of low cost, renewable energy by modifying the existing spillways, adding a new pipeline to increase the head, constructing a turbine powerhouse, and integrating these components with the existing diesel generation and distribution system. The engineer estimated this project at $12.0 million. The Phase I Nikolski wind project final report was submitted October 14, 2010 (Contract A 48 HECG), and it was hoped the wind diesel configuration would produce the greatest potential future savings for the community, the greatest leverage against increasing fuel prices and other liabilities associated with diesel only generation and flexibility for future electric and thermal load growth within the community. However, the system has failed to be operational except for when technicians were on-site and monitoring and adjusting the system to changing wind regimes and loads. The Aleutian Pribilof Islands Association (APIA) solicited bids for completing the integration of the wind turbine with the diesel grid. The anticipated total project cost for this final phase is $423,459. This request is for $373,459. The Nikolski IRA will provide cash and in-kind contributions for air transportation, local labor, heavy equipment usage and operation, local transportation, local lodging and local coordination totaling $50,000. Install a floating tidal turbine(s) near coastal Alaska communities and villages. This project could be used to provide energy for communities of to support the fishing industry. St. George’s electrical demand is 70kW to 200 kW, which compare that to the maximum wave power generation from a single wave energy unit with a maximum possible grid penetration of 32.5/70 = 46% in the summer season. The minimum winter demand is 150kW and the maximum is 300kW. If we compare that to the maximum wave power generation at 44kW we have a maximum possible grid penetration of 44/150 = 29% in the winter season. A field of wave energy buoys could provide St. George with plenty of energy and the extra energy could be transmitted to other locations or uned in manufacturing. Large-scale HVDC is a proven way to cost effectively move power, however, the small-scale HVDC systems needed to connect Alaska’s villages are not yet commercially available. This project is developing a small-scale HVDC power transmission system to substantially lower the cost of village interties, thereby reducing village energy costs. Americans used more natural gas, solar panels and wind turbines and less coal to generate electricity in 2012, according to the most recent U.S. energy charts. Natural gas use is up particularly in the electricity generation sector, where it has basically substituted directly for coal, while sustained low natural gas prices have prompted a shift from coal to gas in the electricity generating sector, according to A.J. Simon, an LLNL energy systems analyst. The rise in renewables is tied to both prices (the underlying cost of solar panels and wind turbines has gone down) and policy (government incentives to installers of equipment or renewable energy targets in various states), Simon said. 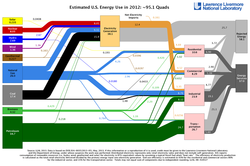 Overall, Americans used 2.2 quadrillion BTU, or quads, less in 2012 than the previous year (BTU or British Thermal Unit is a unit of measurement for energy; 3,400 BTU is equivalent to about 1 kW-hr). Once again, wind power saw the highest gains, going from 1.17 quads produced in 2011 up to 1.36 quads in 2012. New wind farms continue to come on line with bigger, more efficient turbines that have been developed in response to government-sponsored incentives to invest in renewable energy. Solar also jumped from 0.158 quads in 2011 to 0.235 quads in 2012. Extraordinary declines in prices of photovoltaic panels, due to global oversupply, drove this shift. This is the first year in at least a decade where there has been a measurable decrease in nuclear energy. "It is likely to be a permanent cut as four nuclear reactors recently went offline (two units at San Onofre in California as well as the power stations at Kewaunee in Wisconsin and Crystal River in Florida)," Simon said. "There are a couple of nuclear plants under construction, but they won't come on for another few years." Coal and oil use dropped in 2012 while natural gas use jumped to 26 quads from 24.9 quads the previous year. There is a direct correlation between a drop in coal electricity generation and the jump in electricity production from natural gas. 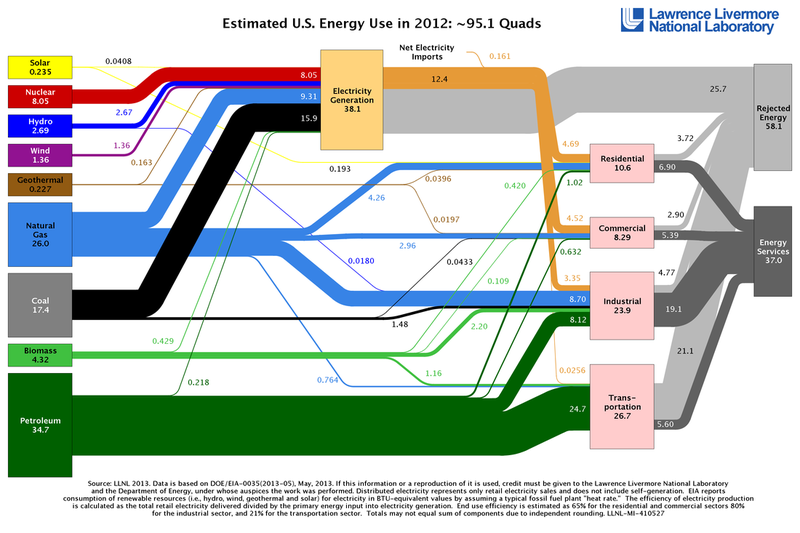 The majority of energy use in 2012 was used for electricity generation (38.1 quads), followed by transportation, industrial, residential and consumption. However, energy use in the residential, commercial and transportation sectors decreased while industrial energy use increased slightly. The Alaska Energy Authority (AEA) is working to reduce the cost of energy in Alaska, including promoting energy efficiency and conservation measures. Applications are now accepted for the Village Energy Efficiency Program (VEEP). Through VEEP $900,000 in grant funding is available for small, high-energy cost communities to implement energy efficiency and conservation measures in their public buildings and facilities. Eligible applicants include municipalities, cities, school districts, unincorporated villages, Alaska Native regional and village corporations, 501(c) 3 tribal consortiums, regional housing authorities and traditional councils. Applications for the VEEP grants are due Aug. 12, 2013; AEA can provide technical assistance to potential applicants. “Energy Efficiency measures can result in immediate cost savings to the community,” continued Fisher-Goad. AEA's efficiency programs focus on commercial and rural public buildings, private commercial buildings statewide, industrial facilities and general education and outreach, AEA also provides support for the Alaska Energy Efficiency Partnership, AKEnergyEfficiency.org. Additional information and applications can be found online at Akenergyauthority.org. 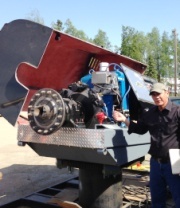 Inside the 'guts' of the new turbine.On the hot and sunny afternoon of June 18th SWAMC visited the Alaska Energy Authority warehouse in Anchorage for a technical presentation on the new power system upgrade due to St. George Island. The warehouse folks usually stage and mobilize the rural power systems headed out to rural Alaska, and this presentation was a walk-through of the new bits and pieces of the system once they arrived in Alaska. For instance, St. George will get four new 210 kw generators in a box complete with the SCADA control system and heat recovery on the gen sets. The community will also benefit from a refurbished 95 kw Windmatic wind turbine on a 75 ft tower to provide renewable energy, along with an electric boiler acting as a load dump when the wind resource is robust. The excess BTU's from this new system will feed a heat loop connecting a few buildings adjacent to the power plant, and the upgrade will also include some new transmission line. A great project for the community of St George! At the beginning of this month the Alaska Energy Authority announced a new round of applications for the Village Energy Efficiency Program. Funding available to small, high energy cost communities under this announcement is $900,000. The program provides audits and energy efficiency improvements in community buildings by replacing or installing energy-efficient lighting, switch boxes, motion sensors, set back thermostats, weather stripping, low mass boilers, and more. Alaska communities with a population no greater than 8,000 residents are invited to apply. Eligible applicants include municipalities, cities, school districts, unincorporated villages, Native regional and village corporation, 501C3 tribal consortiums, regional housing authorities, councils organized under 25 U.S.C 476 and traditional councils. Since 2005, 51 villages have participated in the program. The SWAMC region communities of Old Harbor, Port Heiden, Chignik Lake, False Pass, Nikolski, Pedro Bay, Ekwok, Levelok, and New Stuyahok are past participants. Check out the VEEP Archive page to learn more about the energy efficiency upgrades in these and other communities over the past 8 years. Applications for this round are due to AEA by August 12, 2013. Let's get a few more SWAMC communities and Tribes involved in this program! Contact us with any questions. EPA has released a new climate and energy strategy guide for local governments, entitled “Energy Efficiency in Water and Wastewater Facilities: A Guide to Developing and Implementing Greenhouse Gas Reduction Programs. Water and wastewater facilities are among the largest consumers of energy in a community, accounting for 35 percent of typical U.S. municipal energy budgets. Local governments can reduce their energy costs and greenhouse gas emissions by working with these facilities to improve the energy efficiency of their new, existing and renovated buildings and their day-to-day operations. implementing energy management programs for water and wastewater facilities. To read the guide go to: http://www.epa.gov/statelocalclimate/documents/pdf/wastewater-guide.pdf. The Department of the Interior is proud of the work that has been done to exceed President Obama’s goal of approving more than 10,000 megawatts of utility-scale renewable energy projects on our public lands over the past four years. The President has asked us to double down, and issue permits for a total of 20,000 megawatts in renewable energy projects by 2020. It will be a challenge, but we will do it – knowing that supporting clean energy development drives our economy, cuts our carbon pollution, and reduces our reliance on foreign oil. But it’s not just the big projects that are important. Working with key partners, the Department has also been developing an initiative aimed at deploying smaller-scale solar/diesel or wind/diesel hybrid projects in isolated, off-the-grid villages in places like remote Alaska and U.S. island territories. Through this initiative, which we call the “Remote Community Renewable Energy Partnership,” the National Renewable Energy Laboratory (NREL), working with the Department of the Interior and other partners, is designing a modular, expandable, and replicable smaller-scale renewable energy hybrid power system that will take many small Alaska Native villages off their sole dependence on expensive diesel power. Over the next year or so, NREL hopes to complete the design phase for this project and then, with the help of interested businesses, philanthropists, and governments, we want to partner with willing villages and pilot test the new modular systems. The current approach to renewable energy deployment for small communities is to engineer and construct individual, customized solutions. A tailored solution may minimize certain capital costs or maximize output, but the engineering and construction costs and associated deployment delays make many projects too expensive – particularly for smaller, isolated villages. In contrast, permitting, engineering, procurement, construction, operation, maintenance, and more can be streamlined with a simpler, modularized approach, allowing for faster deployment to remote communities in need. As multiple units are deployed, we can implement local and remote performance monitoring and develop a regional corps of technicians who can perform maintenance or technical fixes. The modular approach can also result in lower capital costs, a scalable platform, and a better-known risk profile for financing purposes. In short, this approach has the potential to greatly expand the availability of low-carbon, renewable energy solutions for millions of people who are not now able to take advantage of abundant, clean, and local renewable energy resources. So, stay tuned. If the Interior Department, working with NREL and its other partners, can successfully complete the design and deployment of lower-cost, effective, smaller-scale renewable energy hybrid energy systems for villages, the lives of millions of people in some of the poorest and most isolated regions of our country and around the world can be changed for the better. 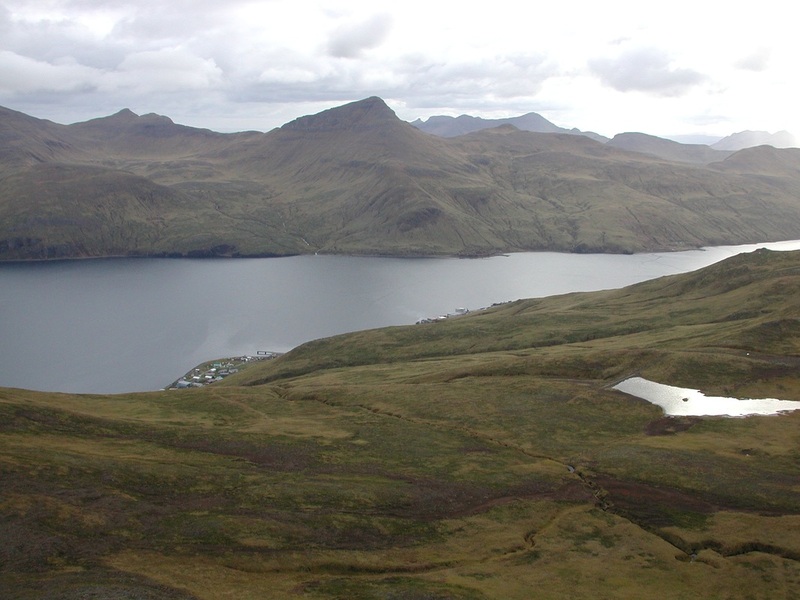 The City of Akutan is completing the upgrade and repair of an existing hydroelectric power generation system as part of the Alaska Energy Authority’s (AEA) renewable energy grant program. With $1.39 million of State funding and a $100,000 City match, construction was completed in the fall of 2012, and the system came online in November. The control system in the powerhouse will also be upgraded later this year as the final phase of the grant-funded project. The system is already providing 35 - 40 percent of the City’s 100 kilowatt (kW) power demand, which equates to a cost savings on diesel fuel of at least $50,000 for the current year. 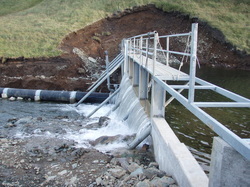 The actual amount of power generated and dollars saved are dependent on weather conditions and stream flow rates, but the newly constructed improvements to the system will provide maximum return on the funds invested, and ensure long-term savings for the Akutan Electric Utility and its customers. 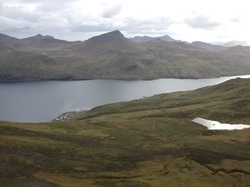 The hydro resource is a stream at the east end of the City of Akutan town site. It was originally identified as “No Name Creek,” and was later referred to as “School Creek,” but is now known as “Town Creek.” Stream flows were measured several times in the early- and mid-1980s. As a result, the stream was identified by the City as a potential source for hydroelectric power production. In 1993, Akutan formed a joint venture with Alaska Power Systems (APS) for the design, construction, operation and maintenance of a hydroelectric power generation system utilizing the Town Creek resource. The system was constructed and became operational in October 1993. The City purchased 100 percent ownership in February 1994, which is owned and operated by the City’s Akutan Electric Utility, Inc. The system consists of a powerhouse containing a 174 kVA hydro generator and a 125 kW diesel generator. A reservoir 800 feet above the powerhouse provides water to a Pelton wheel turbine through a 4-inch plastic penstock. The powerhouse control system allows the hydro and diesel generators to operate in parallel and to be remotely controlled. The hydro generator has a peak capacity of 105 kW. The diesel generator has a peak capacity of 125 kW. The City’s average peak load is in the range of 90 - 100 kW. Since its construction, the Town Creek system has undergone a variety of upgrades, to include enlarging of the impound dam and several control system improvements. However, the system has continued to experience a number of problems, including reduced water flows from leakage and clogged intakes, inoperable shutoff valves, and various switching and control problems. The newly completed upgrades and repairs include improvement of an existing access trail to support the movement of maintenance equipment and personnel to the main impoundments located on steep ground above the village. Small dams and impoundment structures were replaced, along with valves, gates and spillways to increase the flow of water to the hydro plant through the existing 800 foot penstock pipe. 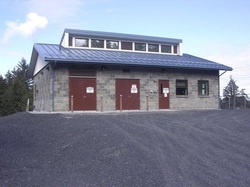 Maintenance equipment and a storage building have been positioned in the village to improve what is typically an intense year-round maintenance program. New operation and maintenance manuals were developed and City operators were trained on the new system. Control system work in the powerhouse is set to begin in the near future, with the primary goal of improving the use of increased stream flow from the system upgrades, and maintaining the maximum online capability of the hydro generator. Upgraded controls will also improve the synchronization of the hydro system with the City’s diesel generators, for more efficient cut on, cutoff as stream flows fluctuate. As the final phase of the project gets underway, the City is encouraged by the results of the system improvements, and particularly the daily cost savings from renewable energy. Operation of the system in 2013 will determine if the City can meet the two primary goals of the project – reduce operating costs of the electric utility by 30 percent, and increase annual savings on diesel to $100,000 from 2012 levels. At the same time, the City can achieve two objectives of renewable energy development, creation of a sustainable energy source and reduced costs to customers. As part of the Obama Administration’s efforts to help Tribal communities across the country enhance their energy security and build a sustainable energy future, the Energy Department and the Denali Commission today announced that five Alaska Native communities will receive technical expertise through the Strategic Technical Assistance Response Team (START) program. Building on five technical assistance awards made last year, the projects selected today will further accelerate local clean energy and energy efficiency projects that advance energy self-sufficiency and job creation in rural Alaska. The Energy Department’s START program, in partnership with Denali Commission and the National Renewable Energy Laboratory, provides technical expertise on a variety of clean energy and efficiency technologies, infrastructure development and community capacity building to tribal communities across the United States. Through the START awards made today, each Alaska Native tribe will receive technical assistance focused on community-based energy planning, energy awareness and training programs, and clean energy deployment and financing opportunities. Additionally, each village selected this year is eligible for up to $250,000 in financial assistance to deploy a renewable energy or energy efficiency project, supported by the Department’s Tribal Energy grant program. Native Village of Kongiganak will receive assistance to strengthen existing wind energy infrastructure, efficiency measures, and smart grid technology development. Native Village of Koyukuk will receive assistance with upgrades to its energy infrastructure and identification of energy efficiency and biomass opportunities. Native Village of Minto will receive assistance to identify energy efficiency, biomass, and solar energy opportunities. Native Village of Shishmaref will receive assistance with efforts to build capacity and increase sustainability within the village to mitigate current energy and community relocation challenges. Yakutat T’lingit Tribe will receive assistance with prioritizing renewable energy projects, evaluating feasibility studies, fostering community support, and identifying next steps to move projects forward, including biomass, ocean energy, and efficiency measures. A-Team members applied to the START Program for False Pass and Nikolski, but these communities were not selected. An effort to take charge of the energy problems that plague Aleutian communities gained steam at the 2010 Aleutian/Pribilof Islands Energy Summit in Anchorage in late April 2010. More than 84 representatives of towns, boroughs, tribal groups and other Aleutian entities met to develop a plan to reduce local dependency on fossil fuels through alternatives that are sustainable, accessible, reliable and affordable. The goal is to ultimately reduce fossil fuel use in Aleutian communities by 85 percent through a regional effort. The summit was led by an ad hoc committee of regional stakeholders that began meeting more than a year ago, informally called the “A Team” — Larry Cotter and Everette Anderson with Aleutian Pribilof Island Community Development Association, Thomas Mack and Chris Lace of the Aleut Corporation, Dan Duame from Aleutian Housing Authority, Sharon Boyette with Aleutians East Borough, and Dimitri Philemonof, Ken Selby and Bruce Wright with Aleutian Pribilof Islands Association. Rep. Bryce Edgmon, co-chair of the energy committee for the House of Representatives, said the Legislature has been much more focused on supporting Alaska’s long-term energy needs this session. The House energy committee traveled around the state in 2009. In Unalaska, they toured the new power plant, and visited seafood plants to see how they’re using fish oil to help fuel their facilities. Several Summit attendees talked about how dependence on fossil fuels is impacting their communities. “The cost of fuel goes up, the cost of fish comes down, it’s hard to make a living out there. It’s a lack of predictability,” said fisherman Hugh Pelkey, a member of the APICDA and Akutan Corp. boards of directors. People who can’t make a living in their communities leave, said Jason Bourdukofsky. Without the population needed to keep schools open, towns die. “In the case of our little community out in the middle of the Bering Sea, our biggest concern is economic development,” said Pat Pletnikoff, mayor of St. George Island. “Yesterday, we were down to four barrels of diesel in our community. We’ve a construction project out there that’s coming close to being complete, but there’s no diesel to run the machinery. It’s a situation St. George has faced three times just in the past year,” Pletnikoff said. A team from Norton Sound Economic Development Corp. gave a presentation on its Consolidated Bulk Fuel Program, which has successfully lowered costs of fuel in member communities. Establishing a regional bulk fuel cooperative, identifying participants, funding and storage was discussed. Day 2 sessions explored renewable energy sources in the region and possible business opportunities that could be developed such as biofuels. There are successful projects such as the King Cove hydroelectric facility and at least one renewable project in each of the region’s communities. Before disbanding, the group created task forces to explore a bulk fuel program, renewable energy, conservation, and administration. They will work individually and report back with recommendations for a regional energy policy. Wright, B. A., B. Hirsch and J. Lyons. July 2012. A better use of wind energy in Alaska and applicability for Russian villages. Indian Journal of Energy. Vol.1, No.1. The Southwest Alaska Municipal Conference (SWAMC) has contracted with the Alaska Energy Authority to develop regional energy plans for the Bristol Bay and Aleutian/Pribilof regions. (A contract to assist the Kodiak region could be forthcoming.) At the energy workshop in conjunction with our Annual Economic Summit in February, we highlighted the regional energy planning process and broke out into the three sub-regions to go more in-depth on the philosophy and outcomes of the unique plans. So far, the Bristol Bay and A/P plans are taking shape in their own respective ways. As you may recall from previous newsletters and meetings, the goal of the plans are to provide recommendations for activities and actions to help reduce the long-term cost of power and energy, reduce a dependence on fossil fuels, and improve the current energy systems in the regions. Each planning effort will include regional stakeholders, evaluate alternatives and provide a prioritized action plan of projects. As we go further along we will rely on SWAMC communities and members to be part of the stakeholder process, so don't be surprised if we solicit your input and guidance. Bristol Bay has different energy needs and opportunities than the Aleutians. The Bay has several close and clustered communities which could present opportunities for transmission interties, while the Aleutian region is comprised of more isolated communities that require localized planning. And while the A/P region has a world-class wind regime, hydro-friendly topography and several geothermal hot spots, the Bristol Bay region has a different geologic composition with less severe winds, but potential opportunities for solar and biomass energy. Additionally, Kodiak will have its own unique set of challenges and opportunities, as we will discover once that planning process gets underway. In short, each regional plan will have its own identity, but the core planning outcomes are all identical: to find ways to reduce the long-term cost of power and energy to Southwest Alaskans. We hope you will join us as we proceed through the planning phases. Regional: SWAMC is managing a contract with the State to write a regional energy plan. Good progress is being made on that effort. 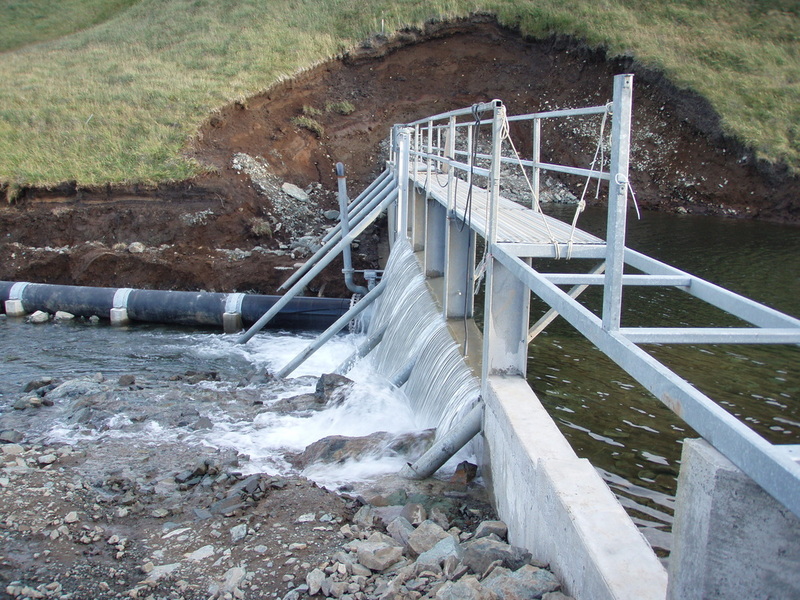 Akutan: The hydro plant upgrade is funded and being worked on in 2012-13. A geothermal project is underway and drilling that took place in summer 2010 found a significant geothermal resource. The city received $2.5M in additional funding for the geothermal project. APIA submitted a district heating project proposal to BIA to dovetail with the geothermal project, but that was not funded. Atka: The hydro project is complete and appears to be offsetting ½ or more of the diesel usage. APICDA will be providing funds for a wind feasibility study. Adak: TDX Power completed a renewable energy feasibility project including investigating a hydro project. The city received funds to advance the hydro project. 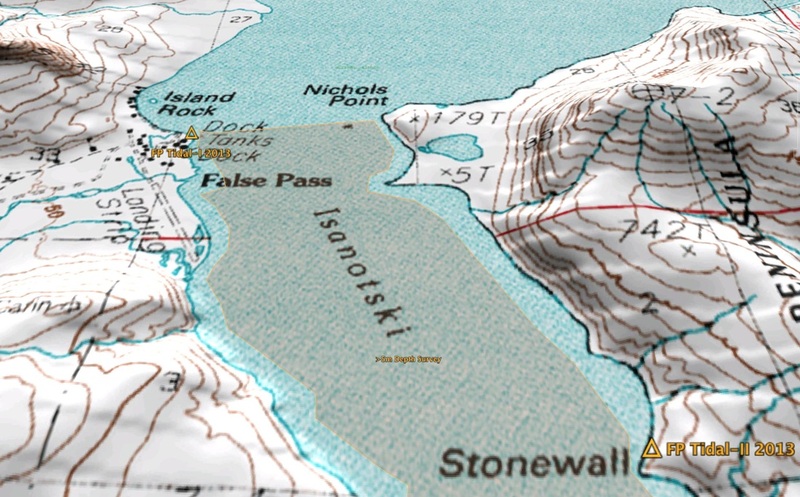 False Pass: Marsh Creek received funding from the Alaska Energy Authority for a wind energy feasibility study; this project is underway. A tidal project is being investigated and a DOE grant proposal to APIA was funded. APIA sub-contractors deployed energy measurement equipment in late September 2012 and the data indicates False Pass has the best tidal energy resource in the country. Senator Murkowski was briefed on the project and is supportive of the effort. Cold Bay: The US Fish and Wildlife Service installed seven 5KW vertical axis wind turbines which will be used to offset heating of their buildings. There are problems with the turbines so the contractor is using another system. If successful, we will investigate using these systems throughout the region. A separate wind feasibility study is underway in Cold Bay. King Cove: A second hydro project/upgrade is being designed. The school saved 25,000 gallons of fuel by using the power plants extra heat. An energy conservation technician was hired 2011 by APIA to assist King Cove residents in their energy conservation efforts, and community homes are still benefitting from that effort. Nelson Lagoon: The APIA energy conservation education project did some work in Nelson Lagoon. Marsh Creek received funding from the Alaska Energy Authority for a wind energy feasibility study and an avian study. Bruce Wright is working with Mark McNealy on getting tidal energy measurements. Nikolski: The 65,000 watt wind turbine was tested in summer 2010 and is considered operational. APIA completed the project final report and submitted it to USDA. The wind turbine still has integration problems and funds were requested from Alaska Energy Authority and USDA Rural Utility Services to complete the project. Sand Point: The two 500,000 watt wind turbines were erected by winter 2010 and these have been connected to the grid in 2012. However, the system is low-penetration and the waste heat system was never installed so the project is underwhelming. Some residents have noticed a drop in their electrical bills as a result of lower fuel surcharges. St. George: The 500,000 watt wind turbine project funding was lost and returned to the Denali Commission. A large greenhouse project was being considered for St. George, but funding is difficult to find. The Alaska Energy Authority reported they have purchased wind towers and turbines and taken delivery to a new power plant module for St. George. St. Paul: The city and TDX are negotiating an agreement on buying energy from the wind turbines. TDX completed work on hooking up the turbines and the city is working on a power plant upgrade project. TDX reported the ‘extra’ wind turbines will be hooked up to the city in 2013. We’ll see. Unalaska: The Makushkin geothermal project has stalled; negotiations have included several regional organizations. The Unalaska city manager has expressed outright rejected the project in favor of using diesel generation without use of renewable energy. However, Unalaska is investigating using LNG to replace diesel.